En español | WASHINGTON—The average annual cost of therapy for one widely used brand-name prescription drug in 2017 was over 18 times higher than the cost of therapy for one generic drug, according to a new AARP Public Policy Institute (PPI) report released today. 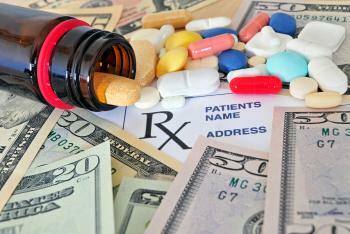 The cost for a generic medication used on a chronic basis averaged $365 per year. In contrast, the average annual cost for a brand-name prescription drug was $6,798. AARP PPI’s latest Rx Price Watch Report “Trends in Retail Prices of Generic Prescription Drugs Widely Used by Older Americans” found that retail prices for 390 generic prescription drugs commonly used by older adults, including Medicare beneficiaries, decreased by an average of 9.3 percent in 2017, compared to the general inflation rate of 2.1 percent. The decline follows two consecutive years of substantial generic drug price decreases; the previous two consecutive years saw increases in generic drug prices. With older adults taking an average of 4.5 prescription drugs every month, those using generic prescription drugs were likely to have an average annual retail cost of $1,642 in 2017. All but three of the 390 generic prescription drugs analyzed in the report had a retail price change in 2017. While prices for 297 (76 percent) drug products decreased, 90 (23 percent) products had price increases. Six commonly used generic drug products had retail price increases of greater than 70 percent, including a nearly 200 percent increase for sertraline HCL, an antidepressant. To view the full report, visit http://www.aarp.org/rxpricewatch.